Sarah Lee is an avid performer and a native of the Bay Area. Sarah currently performs with the Stockton Symphony and performs with other Bay Area ensembles such as Opera Parallele and the Lucky Devils Band. 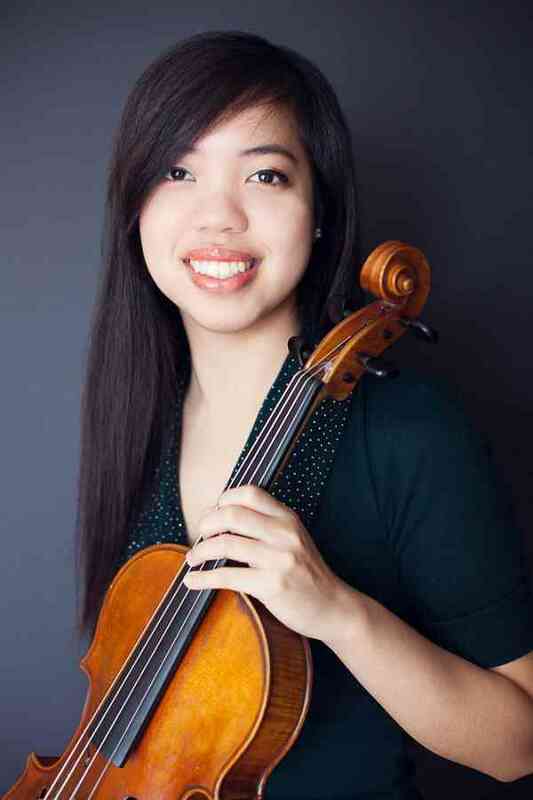 She led as Principal Viola at the San Francisco Conservatory of Music, Indiana University, National Music Festival, and the Orchestra Institute of Napa Valley. Other festivals she participated in include National Repertory Orchestra, Kent Blossom Music Festival, and Aspen Music Festival. In 2015, she co-founded the Verismo Duo with her sister Jennifer Lee: a duo comprised of piano and viola. She has a Master’s of Music degree from San Francisco Conservatory of Music (SFCM), where she studied with Jodi Levitz. Sarah received her Bachelor’s of Music degree from Indiana University under the tutelage of Stephen Wyrczynski where she received high awards: the Premier Young Artist, A.W. Mason Music Scholarship, Recipient Friends of Music IUF Scholarship, Premier Young Artist Award, Faculty Award, and Recipient of SFCM Phyllis Wattis Scholarship. Sarah is known for her patience, warmth, and enthusiasm as a teacher. She has experience teaching a wide range of ages with Suzuki violin/viola training from as young as 5 years old and as old as 75 years old. Currently, she is teaching at an El Sistema at Woodrow Wilson Elementary school. She has many years of teaching at numerous schools such as KIPP Bay Academy, Presidio Middle School, Shiloh Conservatory, Music City Academy, and Sunset Academy of Music. Her view of teaching is to have students be self-sufficient when they practice on their own. Students are first taught about physical awareness and building a firm foundation from the ground up to establish great technique, which allows students musical freedom. She has prepared students for ABRSM examinations and recitals, and will gladly cater her teachings to help students that want to audition for youth orchestras, competitions,and other endeavors.